News and updates on the property market in Spain. Read our latest news and informative articles on the Spanish real estate market. Information, reports and statistical data to help you in your research when looking to buy a property in Spain. We also feature a wide selection of properties for sale in Spain direct from estate agents and private sellers - visit our property search. House prices in Spain are rising again. In the second quarter of this year, prices in the country, one of the worst affected by the financial crash of 2008, have risen for the first time in six years, according to the Instituto Nacional de Aestidiscica (INE). The annual variation in the property price index (IPV) increased more than two points in the second quarter of 2014, rising to 0.8%, the first positive rise since 2008. The price indicator of new houses showed an increase of 1.9%, three points higher than the first quarter of this year and the first positive increase since the last quarter of 2008. These positive indicators have provoked analysis out of all proportion to the tiny 0.8% rise in prices, exactly because it is a rise. What it isn’t is a sustained long-term growth in a housing market powered by a real economy. In fact, Spain’s unemployment rate has actually risen slightly. Construction industry data is unpromising, and credit availability is an ongoing bone of contention in Spain. Further price adjustment could be around the corner, and there is the danger that a modest rise in prices might trigger vendors, both institutional and private, to act to shed properties which they have been eager to offload for some time. A major obstacle to the development of fluidity in the Spanish market has been the unwillingness of vendors to drop prices any lower: the current slight rise might trigger a fresh round of sales. As with many national statistics, the figures hid major regional variation. What’s really happening in Spain isn’t a timid recovery: in some areas it looks like full recovery, while in others the nosedive continues. In Valenciana, sales rose by 4.3%, a respectable increase. In Murcia, they fell by 11.8% year on year. The big winner is Malaga province, location of the Costa del Sol, where prices have jumped by 24% year on year – as against 10.7% nationally. For British buyers, the ground in Spain is shifting in other ways too. Plans to axe the tax allowance for retirees are mooted right now, meaning that British expatriates living on pensions could face a tax rate of 20% on their income, losing up to €4, 000 a year. The move would be wildly unpopular: expats, and those who would like to become expats, can look to better news from elsewhere on Spanish taxes though. The European Union’s top court in Luxembourg recently ruled that Spain’s tax system is against EU law, and that accordingly, the Spanish government will have to alter inheritance tax laws which disproportionately privilege Spanish over non-Spanish people. Spain’s government has yet to be clear on when this will happen, but it does have to comply with the instructions from the EU. What does this mean for British and other overseas buyers? If your income is mostly from a fixed source like a pension you probably stand to lose out financially. Others stand to gain from the changing tax rules. And the market remains uncertain: there are bargains to be had, and growth in some areas is already well underway, while others remain depressed, meaning the potential for rental is reduced. 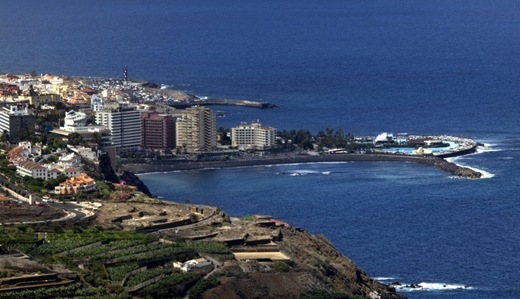 Some Spanish locations will always be popular – witness the revival of the Costa del Sol. 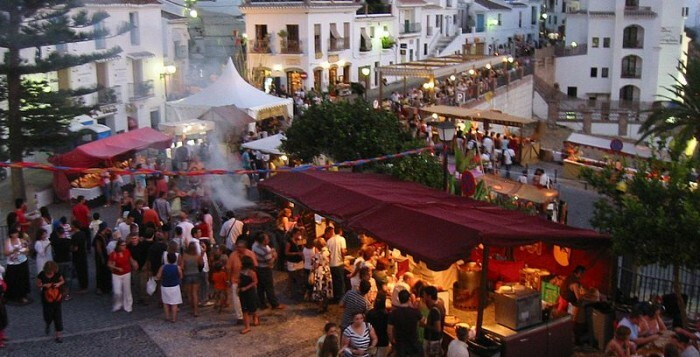 Spain is an easy going yet culturally dynamic place to live and to go on a holiday. However, there’s so much to the country that you should undertake some serious research before you buy a property there. Here are three essentials before you commit to that Spanish property of your dreams. Despite the economic crisis, there are still plenty of people booking holidays to Spain and other Mediterranean countries, like Portugal and Italy. The consistently warm weather makes them not just popular holiday destinations but also optimal countries to purchase property. In the long term it will be much easier to advertise and rent out the property for short-term or long-term rental from an influx of travellers. This contrasts with other burgeoning holiday destinations like Bulgaria and Romania. While these are vividly beautiful countries in their own right; they’re not as westernized or developed, so you can expect a vast amount of red tape to purchase property. Plus these nations aren’t as tourism-centric and may alienate potential visitors. It’s vital to find out if a country suits to your lifestyle, budget and personal requirements. In terms of property, what may be heaven for one person could be a living hell for another. You should also consider the wider cultural and social environment where you live before you part with your hard-earned money. 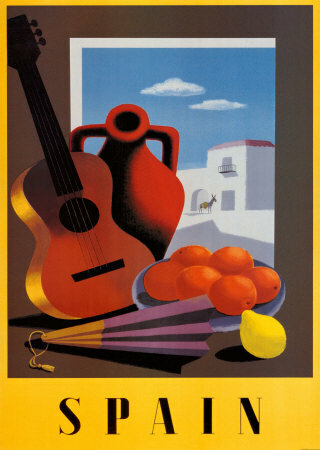 That means you should thoroughly investigate the way of life in different regions of Spain. This is the fun part, so kick your heels up and visit some local fiestas, get to know locals and ask all of the right questions. If you’re purchasing a property for retirement, the desirability or location of a property in Spain may matter a touch less but still you want to retire somewhere comfortable. If, however, you’re buying for the purpose of holiday rental, you need to take a whole raft of aspects into consideration, including the location and compliance with various safety and accessibility regulations for tenants. The influx of potential tenants to the property will depend on the locality of air, rail, ferry and car links to the region. Consider the regular flights of budget airlines to the nearby area. It’s also important to consider the distance to the nearest hospital, supermarket, bank and cash point. People want the reassurance that it’s easy for them to get back to civilization. It’s a catch-22 situation in so far as that everybody wants to live in a secluded paradise but still have instant access to all of the mod-cons. Make sure that a property is 100% right up your alley before committing to purchase. To be on the safe side, have a contingency fund in case of any additional financial costs. The property market in Spain may have been experiencing extremely difficult times until very recently, but market experts are certain that the worst is over and that the nation can look forward to the future with a positive attitude. Price Waterhouse Coopers and the Urban Land Institute recently published a report regarding their forecast on the future of the Spanish property market. According to the report, the weight of foreign capital is urging investors to take a chance in recovering markets like Spain. The Iberian country is said to have undergone an exceptional turnaround as far as investor confidence is concerned. Over two-thirds of the respondents of the survey reported that they strongly or slightly agree that Spain now has fairly good purchasing opportunities. The European Union’s statistical office also released published data which has played its part in further boosting the confidence of foreign investors. Eurostat revealed that home prices in the country had gone up by 0.8 per cent in the third quarter of 2013 in comparison with the second quarter, when it had recorded a decline of 0.8 per cent. Many market insiders have commented on the improvement with positive words. They have also expressed their views on Price Waterhouse Cooper and Urban Land Institute highlighting Spain’s turnaround, saying that it is highly encouraging given that world-renowned experts are taking notice of the changes Spain has undergone. They also say that there is enormous potential that remains untapped in the Iberian nation. Leading experts in the market have been anticipating an improving situation for many months now. The market for second homes is performing especially well with steady improvement. Many real estate agencies in Spain have reported good performances – some recording their best numbers since 2006 as far as sales volumes go. The sums invested into Spanish properties by both investment funds as well as private individuals is significantly large in comparison with previous years, confirming that there are still some good opportunities for investment in Spain. High-end properties in Spain are still available for attractive prices. Real estate agents report that prime properties with access to golf courses, swimming pools, gymnasiums and other luxurious amenities can be found for affordable prices on the world famous Costa Blanca. These properties usually have three bedrooms and boast of large private gardens and club houses and are located in close proximity with restaurants and bars, and bilingual Spanish/English schools. Such properties can be purchased for less than 150,000 euros as sellers have now reduced their asking price. Apart from the properties on the Costa Blanca, the townhouses in the Brisas de Alenda offer a serene location with all the luxury amenities you need. Closely located to the beaches of the Costa Blanca, these properties are hardly 15 minutes away from the Alicante airport, making them the ideal option for those who are looking for second homes in Spain. 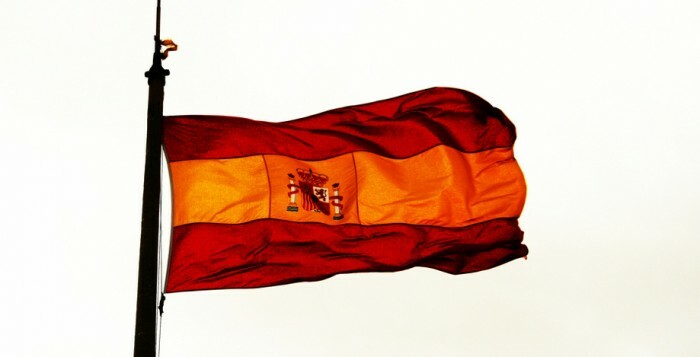 Spain has announed plans to grant permanent residency status to foreign nationals who buy Spnish property priced at €160k or above. The Secretary of State for Trade, Jaime Garcia-Legaz, announced the plan at a conference in Madrid in November of last year. 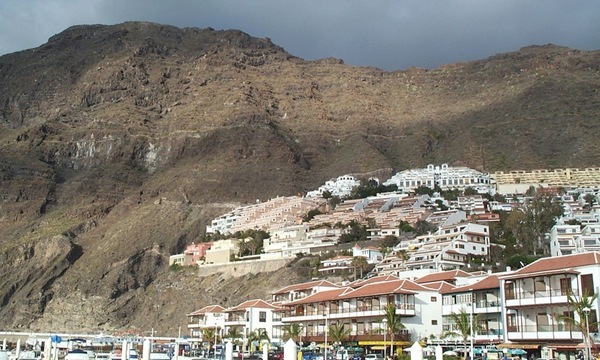 “In coming weeks,” Mr. Garcia-Legaz told reporters, “we will start to reform the law regarding foreigners to reactivate demand abroad and contribute toward reducing housing stock.” Spain normally grants 90-day visas to foreign purchasers, but under new plans will give permanent residency status to those who buy properties worth €160k (£130k). 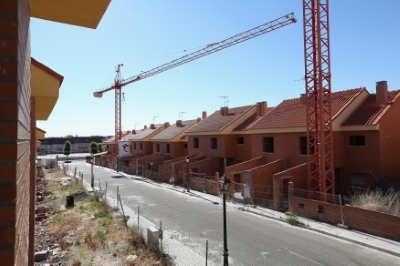 The hopes of the plan hang on the response from Chinese and Russian buyers, since these two countries represent the largest markets outside the EU for Spanish property. Spanish banks whose extensive portfolios were paid for by credit during the boom years are selling them off to pay off their debts. But does that mean it’s a good time to get into a market at the bottom, as the banks would have you believe? Or is it just an opportunity to get sucked in to the whirlpool that is the Spanish property market? The Spanish property market bears strong comparisons to the US property market. In the case of the US debt was much more diffused throughout society. 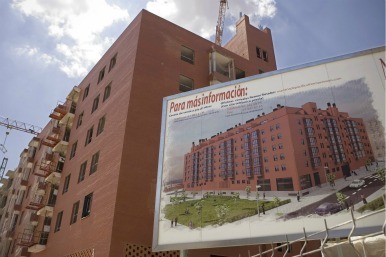 In Spain, a large part of the problem was a property construction bubble, and the under capitalizing of the real estate firms involved was often a simple case of over-reaching and then being beached by a receding economic tide. But the result, that banks and property crashed more or less simultaneously, is sufficiently similar to be uncomfortable for market-savvy Americans. One result isn’t so bleak, however, at least not if you’re planning to invest in Spain. Prices have fallen there by as much as 60%. As a result, Santander’s Spanish property website, Altamira, is offering ‘housing for all, at yesterday’s prices.’ One example of the company’s ‘retro prices’ is a four-bedroom, two-bathroom Valencia apartment for €18,000, though the property is far from a dream holiday home. Bankia was formed from seven troubled regional banks in 2010, two years after the property market crashed. It was a marriage of convenience, and the member banks brought their increasingly burdensome debts with them to the altar. Two years on, Bankia has been bailed out to the tune of €24bn, precipitating a sovereign debt crisis and forcing Spain to ask for bailout money from the IMF and ECB. This followed 2011’s news that the organization had made a loss of €2.9bn. Unsurprisingly, Bankia is eager to sell its property portfolio and it is doing so by means of an ‘andando a la playa’ (‘walk to the beach’) promotion, selling repossessed beachfront properties for as little as €39k. All of which paints a picture of a market that’s not necessarily in free fall, but isn’t exactly in rude health either. (In fact, Spain’s economy is in such trouble that it might not be able to run its Benicassim festival this year.) Market analysts see better times ahead though and especially for expatriates. Property values are falling in areas where there’s little chance of employment; as other European nations feel the pinch, they stop visiting Spain on holiday and areas that are dependent on tourism for their economic well-being suffer. Properties here might be cheap, but with rental demand poor and falling, they’re not such great investments. They are appealing for some expatriates though, which might explain why expatriates are slightly swelling the property market in Spain. As 12% more foreign buyers enter the Spanish market this year, they’re concentrated in the Valencia region, home of the Costa Blanca. According to a recent report from a risk adviser to Banco Santander SA (SAN) and five other lenders, Spanish banks are currently holding 30 billion Euros worth of property that they can’t sell. The Spanish property market continues to suffer acutely according to the latest reports. Some 600,000 homes are currently languishing on the market unable to find a buyer, and a further 200,000 part-completed properties are in the same boat. Most of these are in the popular holiday areas. 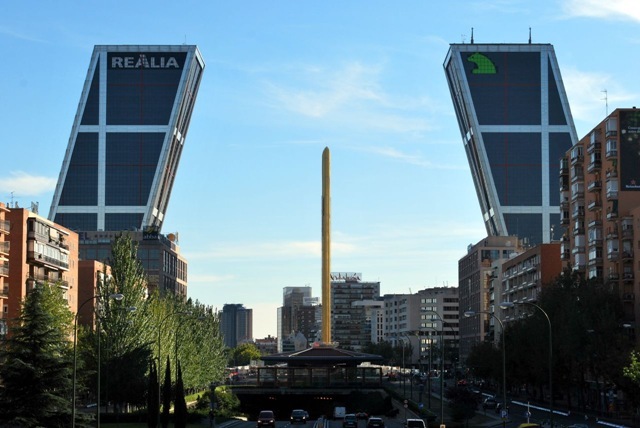 Madrid office rents have fallen 30% since the crisis began, but still rents have risen, which shows just how much prices of commercial property have been eroded in Spain. But still the consensus indicates that investors should be waiting for a little while yet before pouncing on the bottomed market. 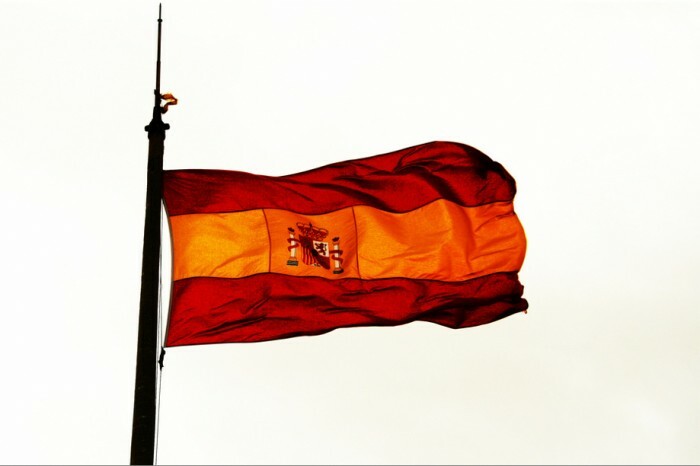 How Will Spanish Cut Backs Affect Expat Housing in Spain? The heavily indebted Spanish economy is in almost as bad shape as that of Greece. But the Spanish economy accounts for 12% of European Union gross domestic product, 4 times the size of the Greek economy. Some say this makes it too big to fail. Undoubtedly its failure could mean the death of the EU and the single European currency, sparking an every-country-for-itself financial free-for-all that no one could predict the outcome of. Needless to say European and World leaders are keen to stop this happening. This led to them — including a personal intervention from Barack Obama — putting pressure on Spain’s minority left wing Prime Minister, Jose Luis RodrÃ­guez Zapatero, to enact a strict regime of austerity in order to bring down the budget deficit and the country’s debt to put the world and its markets at ease.